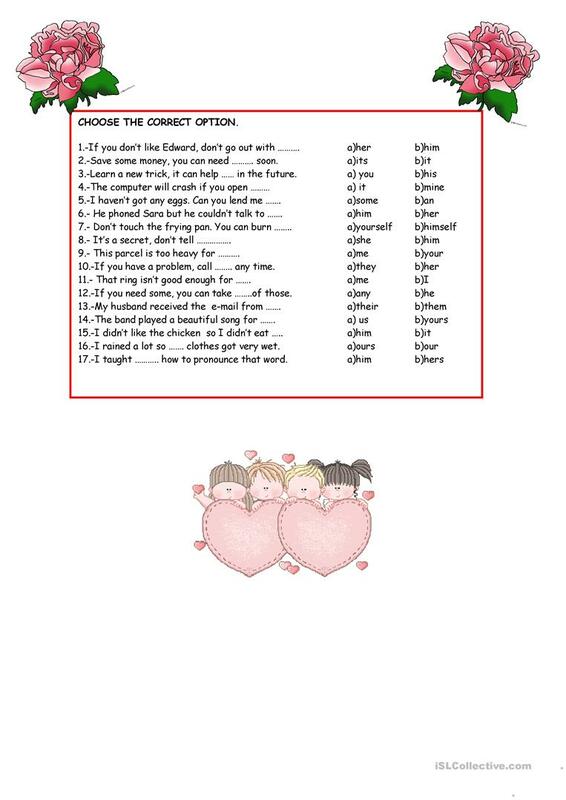 I''ve prepared this wss in order to revise pronouns. The above downloadable teaching material is a great resource for high school students and adults at Elementary (A1) and Pre-intermediate (A2) level. 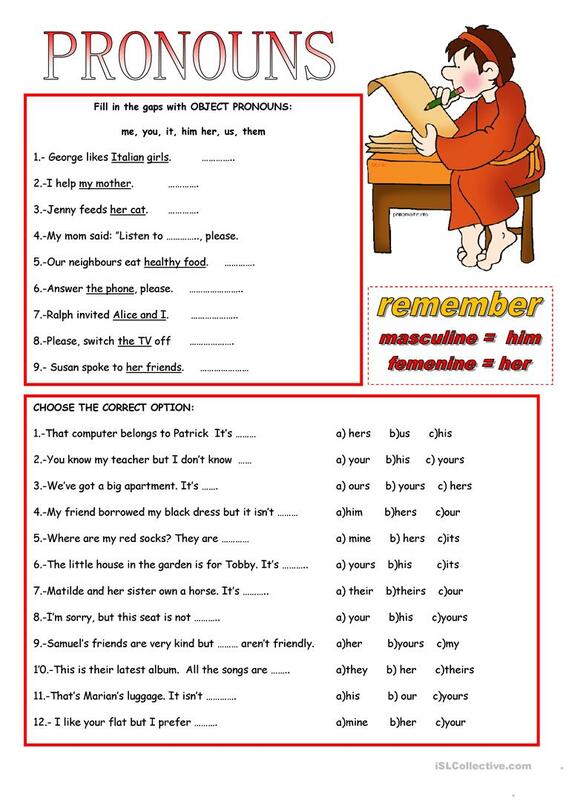 It is aimed at consolidating Personal pronouns in English, and is useful for improving your groups' Writing skills.